Reliable and Affordable Power Washing! Is your home looking older than it should? Are your business premises losing their sparkle and bringing your brand down? Maybe it’s time to give your property a good cleaning. When it comes to that, there is no better way than pressure washing. NICK’S Window Cleaning combines experience and reliable industry-grade equipment to deliver pressure washing services Richmond Hill residents can count on. We handle every job with the dedication it deserves no matter the size. With our full liability insurance along with WSIB coverage, your property is in safe hands! A good power wash can revitalise any space. But not everyone can do a good job. While you can easily get pressure washing equipment, it is in your best interest that you leave the job to the pros. Many have ended up in the emergency room by trying to operate these machines. Apart from that, you risk damaging your property irreversibly. The brutal jets of water can strip away material off your surfaces if not set properly. NICK’S Window Cleaning brings to the job over 10 years of experience. We have restored all sorts of property that was attacked by grime, grease, mildew, moss, algae, soot, and just about any pollutant you can think of. Each time, our tried and tested methods proved reliable. Do not take the risk. Let us get the job done swiftly and safely! Why live in a dull-looking home when all it takes is a quick pressure wash to make your property look new again? We can make your home look neat and tidy with our proven cleaning methods. Boosting the curb appeal of your home can raise its value and restore that pride and confidence in you. Treat your esteemed clients and valued employees to a clean business environment. Grease on your driveway or moss and algae on your roof do not sit well with your brand image. But why deal with all that when an affordable power wash can give you a thorough cleaning? We are the go-to-name in Richmond Hill. We have mastered the game from start to finish. We first give your property a thorough inspection to know what it needs exactly. After that, our team go to work and only retire once every speck of dirt is off your valuable property. Call us and see what we can do! One of the biggest mistakes you can make as far as your property goes is skimping on its maintenance. It does not take much for you to keep it looking clean and intact, but this is a habit that can sustain the value of your home and keep it from premature damage. 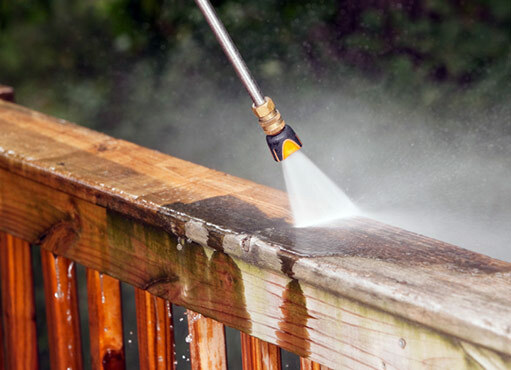 If you care about giving your home a thorough cleaning, you cannot ignore power washing. It is an effective way of getting rid of moss, mildew, algae, grease, and other stubborn dirt that might otherwise compromise your property’s appearance. But for that, you will need the right equipment and the experience to operate it. This is why you would be better off just hiring a pressure washing company. Here are the benefits you will reap by so doing. You save yourself time. If you are thinking about doing your own pressure washing, you probably have the wrong idea about how much time you need to get the job done. You’re probably not factoring in the time you need to get the equipment, learn how to operate it, and then get the actual washing done. This will normally add up to hours and hours, especially if you have a sizable property. By hiring professionals, you could save yourself valuable time. Pressure washing technicians have been in the business for years and have the necessary experience to get the job done without eating up too much time. They already know how the machines run, how to tackle different types of dirt on different materials, and what to do in case they face any problems. You get a thorough cleaning: By hiring professional pressure washers, what you will actually be buying yourself is a thorough cleaning for your home. While it might look easy, there is actually a whole lot involved in executing a perfect pressure washing job. Roofs, patios, driveways, gutters, pool deckings, etc., all have unique problems that need to be approached from a unique angle. A professional that has been in the business for years will know what to do to give your property a complete washing in any situation. 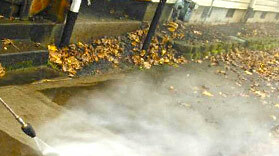 You safeguard your property: Handling a pressure washer is not the safest of tasks. It is so easy to damage your property with the wrong pressure settings. A low pressure will just be a waste of time, and the end result will be compacted dirt. A pressure that is too high, on the other hand, might strip layers of material off your surfaces. Seeing how high the risk is, you would be better off hiring a professional!